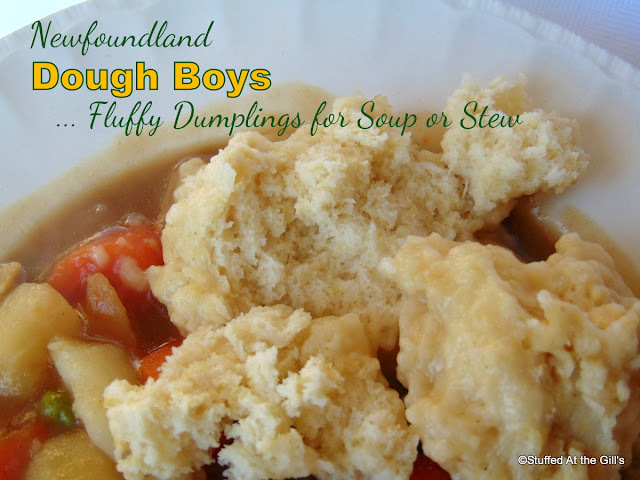 Coconut Tea Buns are a Newfoundland favourite. Have them with a cup of tea or a glass of milk. 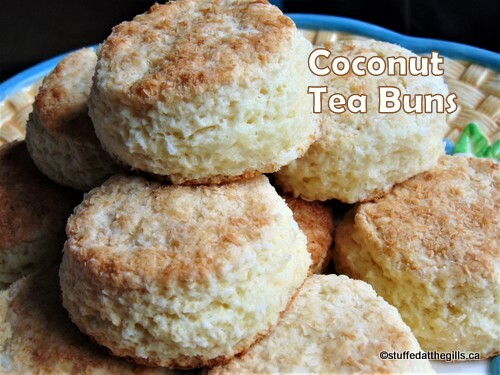 Although Coconut Tea Buns are a great favourite on many Newfoundland tables, my mother never made them, which is surprising because she loved coconut. Maybe she never tasted them. I can't remember. But I have tasted them many times but I've never made them before this week. And I don't know why. They are so good and tasty. I can't stop eating them. I've made three batches and have indulged in too many, ha, ha, ha, ha. The last batch is safely tucked away in the freezer for another day. Preheat oven to 400 degrees. Line a cookie sheet with parchment paper, if desired. 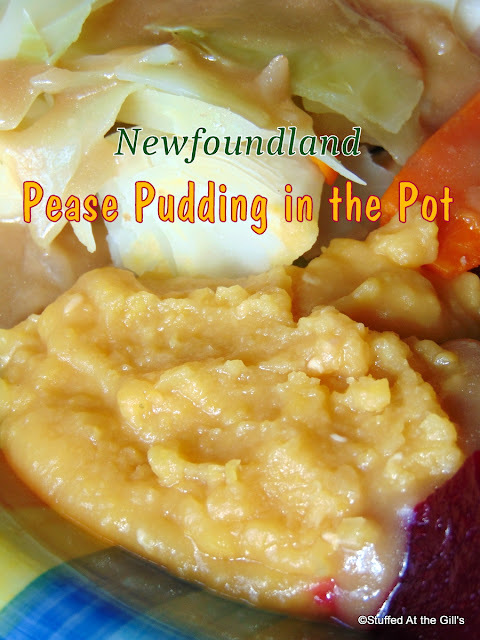 In a large bowl, stir together flour, salt, baking powder, sugar and ½ cup coconut. 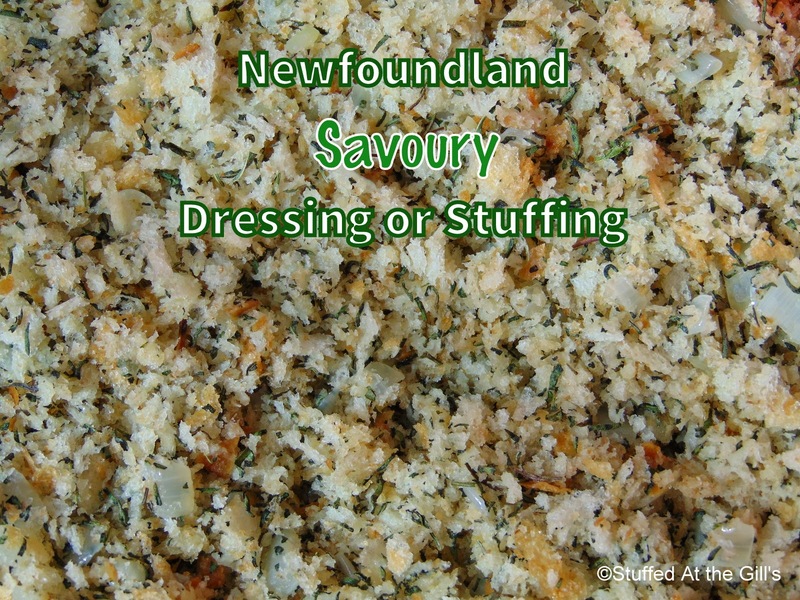 With a pastry blender or two knives cut in the cold butter until the mixture is crumbly. You may also use your hands to rub in the butter. If using any dried fruit add it now. Beat the egg, milk and vanilla together. 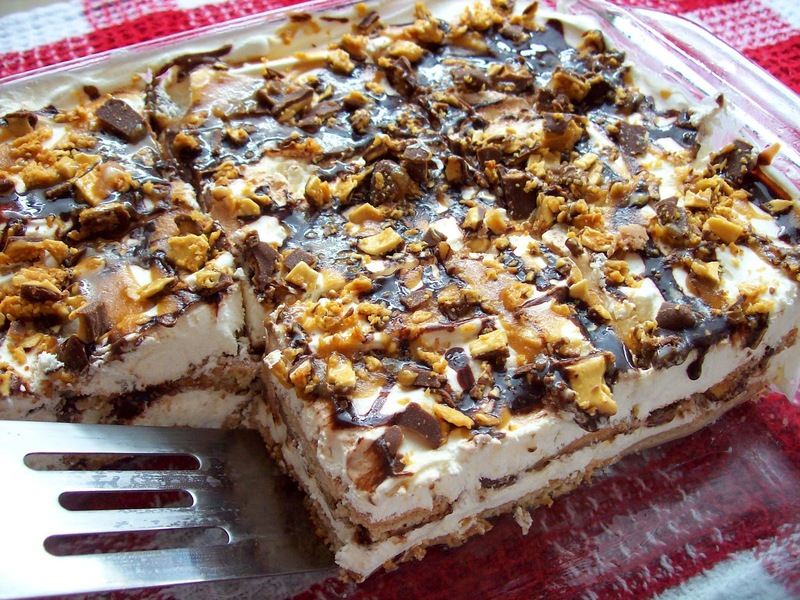 Make a well in the dry ingredients and pour in the milk mixture. Stir with a fork to make a soft and slightly sticky dough. 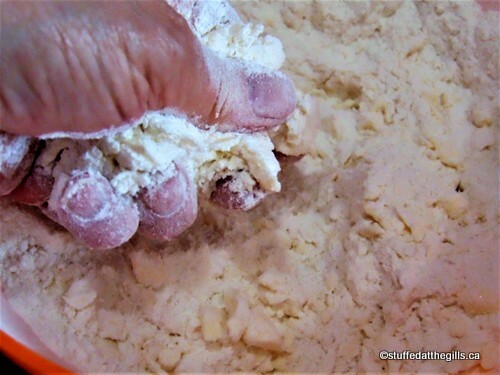 Turn out on a lightly floured surface and knead gently 8 to 10 times until the dough comes together. 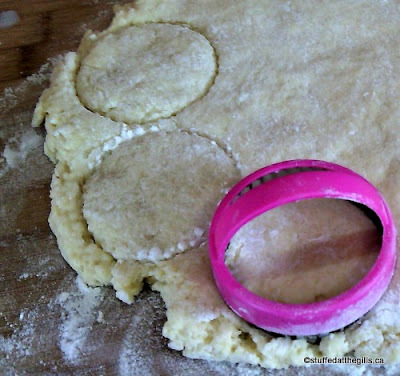 Roll or pat dough out to ½-inch thick. Sprinkle with 1 tablespoon coconut and gently press in. 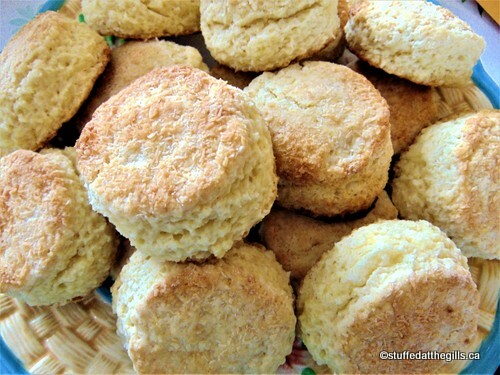 Cut with a 2¼-inch biscuit or cookie cutter. 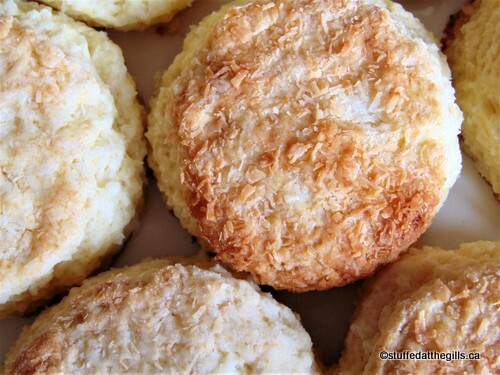 Re-roll any remaining scraps and cut more biscuits sprinkling with more coconut before cutting. 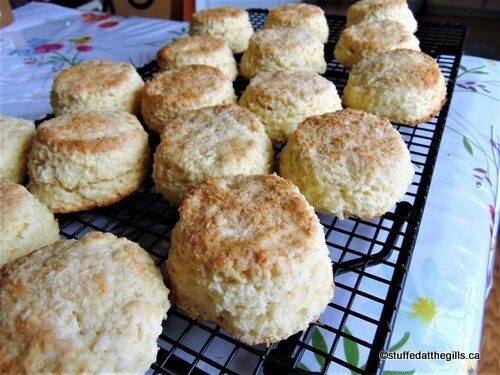 Bake on an ungreased cookie sheet in the preheated oven 12-15 minutes or until light golden brown. Cool on baking rack so bottoms don't become soggy. In a large bowl mix all the dry ingredients together. 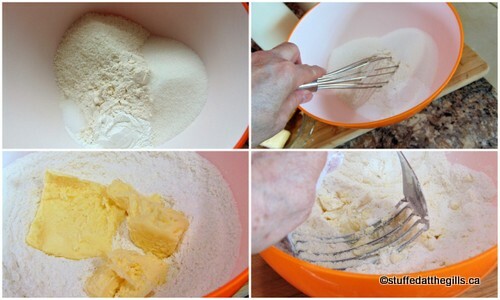 Cut in the butter with a pastry blender. You may also use your hands to rub in the butter. Beat the egg, milk and vanilla together. Make a well in the dry ingredients and pour in the milk. 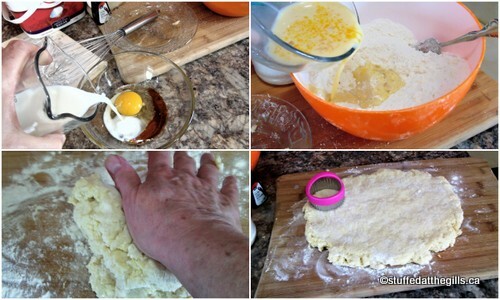 Mix with a fork until a soft and somewhat sticky dough is formed. Turn out on a lightly floured surface and knead about 10 times to bring the dough together. 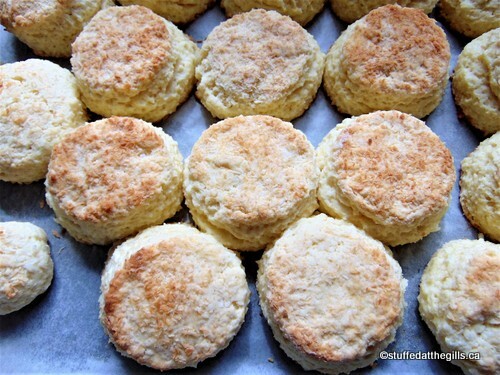 Pat or roll out to ½-inch thick, sprinkle with 1 tablespoon of coconut and cut with a biscuit or cookie cutter. Gather any scraps and re-roll, sprinkle with coconut and cut more buns. Place cut buns on ungreased baking sheet. You may wish to line the sheet with parchment paper. Bake the buns in a preheated 400 degree oven 12-15 minutes. See how lovely and golden the coconut becomes on the top. I baked mine 15 minutes. 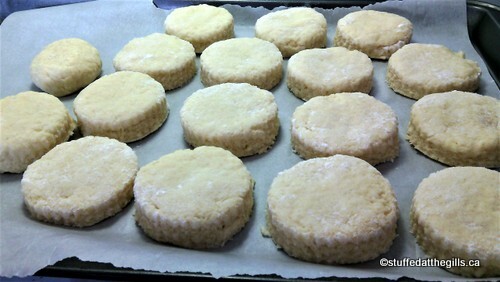 Cool on baking rack so bottoms don't become soggy. Of course, you may want to sample a few hot buns straight from the oven. 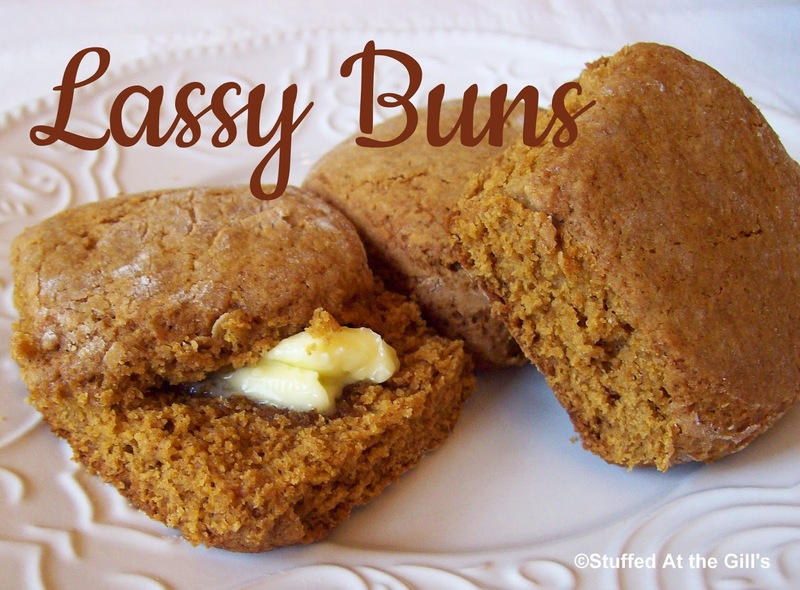 You may not even want any butter or jam on these because they taste so good on their own! 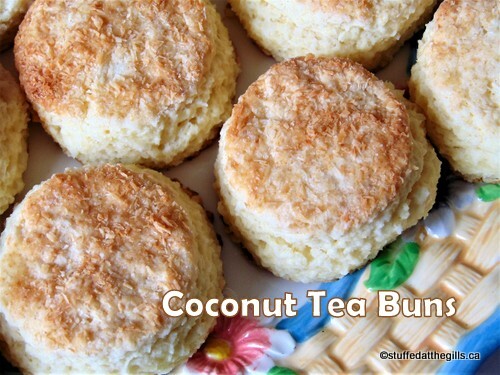 Coconut Tea Buns give you a taste of the tropics!